Okay, now it’s our turn. In my comments on the outcome of the US elections I have tried strenuously to be respectful about the people’s choice of President, and it’s been hard. However, since Trump’s undeserved outburst at our Prime Minister all bets are off. Australians can cope with this, it’s water off our backs. 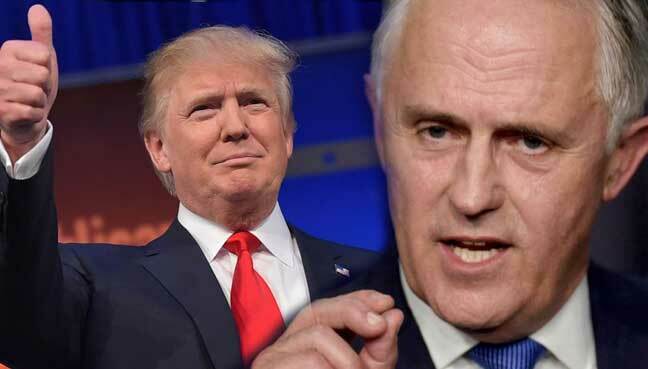 All Malcolm Turnbull was doing after all, was trying to ensure a deal already agreed with the US government was brought to fruition – he wasn’t asking any favours. What has not been widely reported is that this was not a one-way deal, only beneffiting Australia. The U.S. had planned to take as many as 1,250 asylum-seekers. In exchange, Australia—which enforces a blanket ban on accepting asylum-seekers who arrive by boat—would take refugees from El Salvador, Guatemala, and Honduras seeking to come to the U.S.
Unsurprisingly, there has been an outpouring of support in the US media from American citizens who feel embarrassed and ashamed at Mr. Turnbull’s treatment. The bonds between our two countries and its peoples are strong, well-established and genuine. We have suffered in the trenches together, and supported each other not only in times of war, but also in the continuing disaster which is the Middle East. My wife and I lived and worked in the USA for 12 years, enjoying mutual regard, friendship and a palpable sense of respect for where we came from. 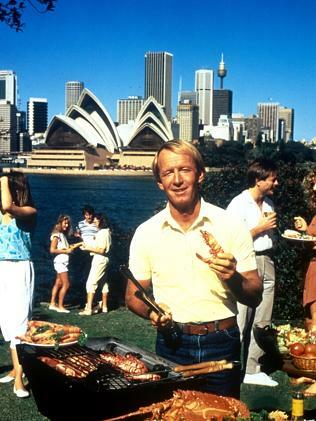 I am in no doubt Australia enjoys a prominent place in the hearts of most Americans. By all accounts it does seem that Mr. Trump could be termed an ‘accidental President’. He has been described by a prominent US citizen as a President who can be legitimately called a ‘minority’ President, losing the popular vote by some three million votes, and winning the Electoral College by just 42,000 votes in States where almost 400,000 voters were purged from the electoral roles and not allowed to vote. Saddest of all is the fact that Trump conducts his Presidency in the same vein as his campaign. He speaks only to his heartland, repeating the words they long to hear, and assuring them he has not forgotten them. Given the number of Americans who declined to vote at all, because of the awful choices, one could assume that President Trump does not, indeed, speak for all Americans. The outcome of this recent election could easily be described as the most polarizing incident in the recent history of the USA, and we have four more years to endure Trump, the Tweeter–in-Chief. However, this weekend, we’ll just put another shrimp on the Barbie, and be ever-grateful we are governed by a Statesman, who represents great dignity and integrity.